Watch the archived webinar here! Tory Christensen by August 2. Join the Friends Tweet-A-Thon between now and mid-August. Our theme is Data in the Real World. When you tweet, use the hash tag #FriendsNCBDDD and share your updates. We want to engage members of Friends in conversations with each other and NCBDDD. Sharing our data and how we use it is a great way to be a community of partners. After all, there are over 450 members of the Friends! If we don’t communicate, the data and information we have won’t help anyone we serve. I challenge each of you to participate in this Tweet-A-Thon over the next few weeks to get to know each other and share how you use data as you work toward your mission. Not sure what to tweet? Think about your mission and share updates on your activities and your services. Share pictures of what you appreciate or what you would like to change. Need help with twitter? We have tips for you on the Tweet-A-Thon webpage from signing up for twitter to posting a tweet. Thanks for reading and I look forward to having some fun together on Twitter during this Tweet-A-Thon! This Tweet-A-Thon is part of my new Chair’s Initiative for the Friends of NCBDDD to get to know each other better. I hope this is a start a series of social media events for the Friends. The CDC has recently updated their Sickle Cell Disease National Resource Directory. The directory is a listing of national agencies, specialty care centers, and community-based organizations that provide services and resources for people affected by sickle cell disease (SCD). The interactive map of the directory is available here and the directory is available as a PDF version here. In 2010, in partnership with the National Institutes of Health’s National Heart, Lung, and Blood Institute, the Registry and Surveillance System for Hemoglobinopathies (RuSH) project was launched to collect initial state-specific, information on people with SCD and thalassemia. Factsheets featuring new data on sickle cell disease in the RuSH project states are now available on our website. Check it out – Sickle Cell Fact Sheet Now Available in Spanish! The CDC factsheet “What You Should Know about Sickle Cell Trait” is now available in Spanish. Click here to find the Spanish version, and click here to find an updated English version. Dr. Georgina Peacock, a developmental pediatrician with NCBDDD, recently published an article discussing preparedness for children with special needs. The article was published in the CDC’s Public Health Matters blog on July 3 and will be expanded to develop more stories in time for Public Health Preparedness month in September. Each year, more than 7,000 babies in the United States are born with a cleft lip with or without a cleft palate or cleft palate alone. These conditions, along with other birth defects of the head and face, are called craniofacial birth defects. July is National Cleft and Craniofacial Awareness and Prevention Month, a great opportunity for people to learn more about these conditions. We have a number of activities planned throughout the month of July to raise awareness about craniofacial birth defects, including an announcement in the July 5th issue of the MMWR, a special NCBDDD web feature, and weekly Twitter messages. Please join NCBDDD during July to spread the word about craniofacial birth defects and to see what NCBDDD is doing to help families of children with these conditions. NCBDDD is excited to announce new updates to the Disability and Health Data System (DHDS), a CDC data tool that provides disability-specific information on a variety of health indicators. New DHDS features recently released include 2011 Behavioral Risk Factor Surveillance System (BRFSS) data, new single year indicators stratified by demographics groups, new p-values for each disparity estimate, improved indicator names. For more information about how to use the system, please read or download DHDS fact sheets. If you have questions about how to use the system, please email us at dhds@cdc.gov. For more information on CDC’s Disability and Health work, click here. Autism Speaks has released a first-of-its-kind national survey to identify the current and future housing and residential support needs of the autism community. The survey will poll individuals with Autism Spectrum Disorder (ASD) ages 14 and older and their families/caregivers to identify the type of home and support services that they may need both now and in the future. Within the next decade, a minimum of 500,000 individuals with autism will enter adulthood. Many of these individuals will require access to the adult services system — the Autism Speaks National Housing and Residential Supports Survey will capture the diverse range of options needed to accommodate those living with autism. The goal of the survey is to have 10,000 respondents whose information collectively represents the needs of the autism community. The results of the survey will provide insight into the demand for housing and residential supports, the current supply and how the autism community is impacted. The results will also inform developers and service providers about the needs of this population over the next ten years. The National Housing and Residential Supports Survey is available to be completed in both English and Spanish on the Autism Speaks website. Everyone deserves equal opportunities to lead a healthy, active lifestyle—especially children and adults with disabilities. With obesity rates for children and adults with disabilities 38 percent and 57 percent higher than rates for children and adults without, it is critical that people with disabilities are included in programs and services that meet their needs as a person, not just as a person with a disability. The President’s Council on Fitness, Sports & Nutrition’s new initiative, I Can Do It, You Can Do It! (ICDI) addresses the need for more children and adults with disabilities to be physically active. ICDI partners with schools and school districts, colleges and universities, and other community entities to provide mentoring programs that facilitate physical activity and nutrition education opportunities, and offer recognition with the Presidential Active Lifestyle Award (PALA+). The program includes a comprehensive toolkit to enable site directors and mentors to be successful in providing opportunities for children and adults with disabilities to be active, as well as provides relevant physical activity and nutrition-related resources to encourage a healthy, active lifestyle. Learn more about ICDI by visiting www.fitness.gov or email ICDI@hhs.gov to sign up to become an ICDI Advocate! 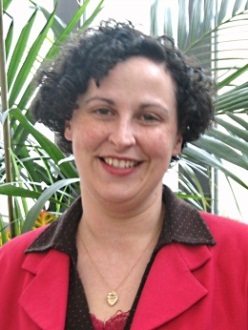 The national Tourette Syndrome Association, Inc (TSA) has named Annetta Hewko as its new President. Annetta will succeed Judit Ungar, who retired on July 7 from the position she had held for 18 years. Most recently, Annetta shared her experience and expertise working as a consultant to clients in both the for-profit and not for-profit sectors. Annetta previously served as Vice President of Global Strategies and Programs for Susan G. Komen for the Cure, spent 17 years with an international career at PepsiCo Inc, living in several different countries and holding general management, marketing and sales roles covering Europe, Africa and the Middle East. Annetta earned her M.B.A. from The Kellogg School at Northwestern University and a BS degree in engineering, from the McCormick School also at Northwestern University. The Public Health is for Everyone toolkit recently won the Bronze Award in the Web Health Awards web-based resource tool category. This toolkit was developed under the Association of University Centers on Disabilities (AUCD)-NCBDDD/CDC cooperative agreement. The Web Health Awards program is organized by the Health Information Resource Center and recognizes high-quality digital health resources for consumers and health professionals. A new children’s book on Visitability has just been launched. Eleanor Smith, a housing rights worker, and Nadeen Green, a teacher, writer and blogger on the topic of fair housing have written, Libby and the Cape of Visitability. 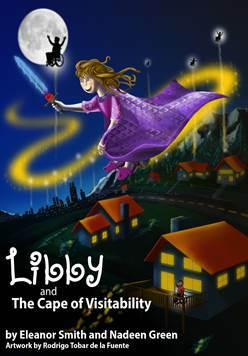 This book is the diary of Libby, a child with a disability; it was written for children ages 8-13, and raises awareness of the exclusion created when houses are not built with simple features that allow mobility-impaired people to visit or live in them. The book also includes a Reader’s Guide with discussion questions and resources. Find the book at numerous online outlets, including Author House, Amazon and Barnes and Noble. Help spread the Visitability movement by reading the book, blogging about it, reviewing the book, tweeting and posting on Facebook. The 2013 Walking Summit will take place October 1-3, 2013, in Washington, DC. The Summit will be a fresh, inspiring and substantive event – designed to highlight what’s working, identify barriers and solve problems, connect people to resources, and prepare leaders across the multiple sectors to take actions that can measurably increase walking and improve walkability. Join national and local leaders to engage in inspiring conversations and sessions that will build capacity, develop strategies, increase momentum, and showcase best practices to increase investments in walking and walkability. For more information, click here! The US is in the midst of a national drug shortage of methylphenidate generic products (Ritalin), a common medication used in the treatment of ADHD. Children and Adults with Attention-Deficit/Hyperactivity Disorder (CHADD), along with the American Academy of Child and Adolescent Psychiatry (AACAP), are working to address the shortage, having conducted an online survey among those who use medication to treat ADHD to understand the scope of the problem. A meeting has been arranged with key officials at the FDA to work to resolve the situation and work will continue to be done to arrange more meetings with key officials at the Department of Health and Human Services, including with Secretary Kathleen Sebelius. 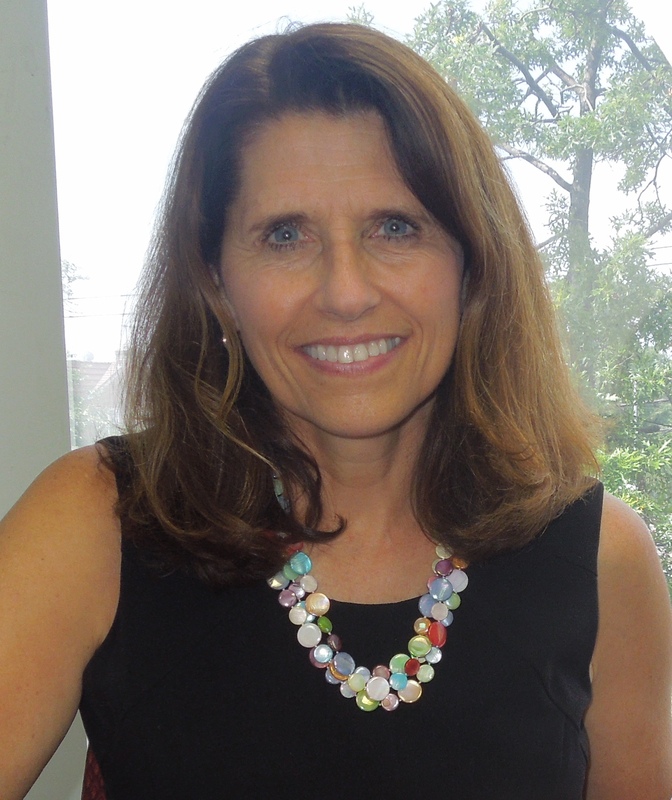 To learn more about the current methylphenidate generic drug shortage and what CHADD is doing to remedy the situation, please see CEO Dr. Ruth Hughes’ Leadership Blog post here. Health Disparities Research at the Intersection of Race, Ethnicity, and Disability: A National Conference was held April 25-26 in Washington, DC. The conference brought together researchers and advocates in both the disability field and the racial and ethnic health disparities field. The goal was to focus increased attention on the health and healthcare needs of people with disabilities in underserved racial and ethnic groups. More than 200 researchers, public health professionals, and community advocates attended the conference. The presentations from the conference are now posted on the Project Intersect website. More than 250 thalassemia patients, family members and medical professionals attended the Cooley’s Anemia Foundation’s 2013 Patient~Family Conference in Philadelphia on June 28-30. This annual gathering brings together members of the thalassemia community from across the country to provide valuable, up-to-date information on the current state of treatment for thalassemia and to discuss new research and developments that will affect future treatment and the progress toward a cure. The Conference was chaired by Janet Kwiatkowski, MD, MSCE, Director of the Thalassemia Program at Children’s Hospital of Philadelphia; speakers were experts in thalassemia clinical care and research from throughout the country. Sessions focused on a variety of topics, including Chelation and Wellness Strategies; Advice from the Patient Community; Curative Approaches; Management of the Non-Transfused Patient; the Access to Care Act; and Adherence Strategies. The Foundation will make recordings of sessions available on its website in the near future. In the meantime, the Conference agenda can be accessed here. http://www.cooleysanemia.org/updates/pdf/2013PatConf-3.pdf. Children and Adults with Attention-Deficit/Hyperactivity Disorder (CHADD) has two upcoming conferences on ADHD planned for 2013–a regional conference on ADHD to be held in Dallas, TX on September 21, 2013, and an annual international conference on ADHD conference to be held in Crystal City, VA (Washington DC metropolitan area) November 7-9, 2013. CHADD conferences feature some of the world’s leading researchers, clinicians, and experts in the field of ADHD. These conferences are an excellent opportunity for parents of children with ADHD, adults with ADHD, educators, and medical and mental health professionals to learn more about current science surrounding ADHD and best practices for managing the disorder in all areas of life. Continuing education credits (CE/CME) will be available to educators and mental health professionals who attend the conferences. The AAP National Conference and Exhibition will be held October 26-29, 2013, in Orlando, FL. It will feature educational sessions in nearly 60 topic areas to suit a variation of learning styles. Home to the largest pediatric technical exhibit, the National Conference showcases the latest products and services, as well as AAP educational and professional resources and programs. From hot-topic plenary sessions to small interactive, hands-on workshops, this conference will offer you every opportunity to enhance your clinical skills and expand your appreciation of our wonderful profession. The AAP welcomes you to be an active part of what we hope will be an annual fall event—the AAP Experience! The Association of University Centers on Disabilities (AUCD) 2013 Conference will take place November 17-20, 2013, in Washington, DC. The conference theme, Promoting Inclusion in an Increasingly Diverse World, promotes the value and inclusion of all persons with disabilities and will engage participants in conversation to ensure our work reflects the changing cultural and linguistic landscape.